My husband always tells me to smile when I am getting my picture taken. It drives him crazy that I chose not to smile in pictures. I simply choose not to smile for one reason, as doing so shows my age. 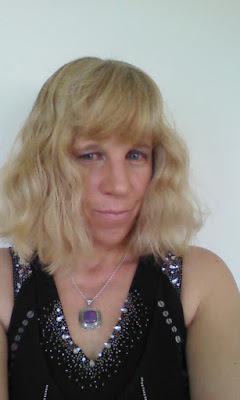 When I smile those fine lines around my eyes appear, so I choose not to smile as I don't want people to know my real age. I smile a half smile in photos so those pesky fine lines are not seen. I do not like what age and other factors do to my skin. Do you have fine lines around your eyes? Notice in the photo below, this was taken a couple months ago, how I half smile. Thanks to Strivectin, I can smile again in pictures. Their new Intensive Eye Concentrate is proven to visibly reduce the look of lines around the eyes. I have been using this wonderful tube for about three weeks and I can see those lines starting to fade. I can't wait to see the results after using this wonderful cream for several months. My son is getting married in three months so by then my eyes will be amazing and I will be smiling in the wedding pictures! I just want to hug the people at Strivectin and say "thank you for giving me my smile back!" The folks over at Strivectin know about skincare. I am thankful for their 35 years of research and their patented NIA-114 technology. Their technology and other wonderful ingredients make for a great Intensive Eye Concentrate that will help me be able to smile again. This cream was not only made for fine lines, but also to help with screen fatigue. They realized that all that looking at screens like, computers, phones and Tvs, leads to squinting and rubbing which causes signs of fatigue in our delicate eye area. Just look at the other ingredients and what they do for eyes. 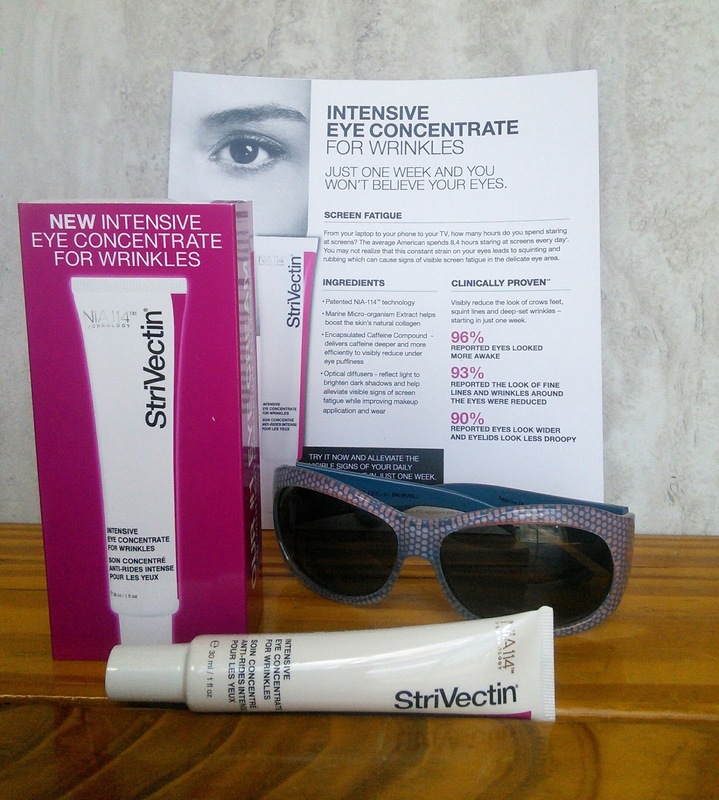 I am happy to add Strivectin Intensive Eye Concentrate to my daily routine of skin care. My motto is why look your age when you don't have too. What are some of the things you do when getting your picture taken to look younger? Visit Strivectin to learn more about this wonderful Intensive Eye Concentrate . "These opinions are my own and I received a sample of Strivectin Intensive Eye Concentrate to facilitate this post." My sister who turns 40 in June has all of a sudden become OBSESSED with her fine lines. She has a baby face and I have no idea what she is seeing besides 1 sleep line she has lol! Anyway she JUST picked up this product along with a boxed set of Strivectin products...She'll be good as new in no time! Strivectin keeps me young looking. I hate telling people my age as they dont believe me, I just turned 51. I am just now starting to worry about lines so I have been looking at products to try out. Will check this out. Sounds like a great product. Trustworthy with 35 years of experience. Honestly, I just stick to my facial cleanser and my moisturizer and that's it. It's good to know about products like this though, at least now I know what my options are in case I decide to use additional products on my skin. I'm glad it works wonders for you! I always see this stuff and wonder if it works. Well here is some proof. You look much better with a smile! I've always wanted to try this! Sounds like a great product and I need to try this. I am a big Strivectin fan! I have never tried this product yet. So glad you liked it. I like your smile. Anyway, it looks like a good product to try. I really would like to give this product a try. I love any product that can make women smile and feel confident. 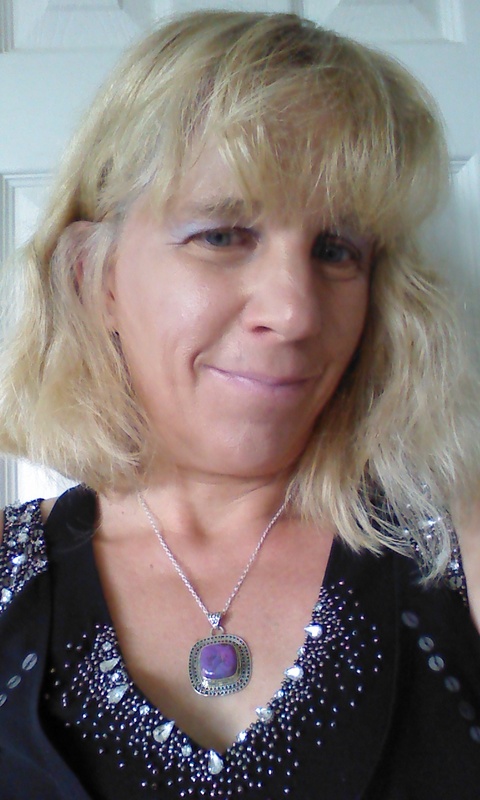 I am glad that strivectin made you feel more confident and will allow you to smile again! I'm happy that this product gives you more confidence to smile now. I've never been really worried about laugh lines but its good to know this exist should I start to. Wow, this is exactly the product that my sister-in-law needs. I will share this post with her. Glad you found a product you love!